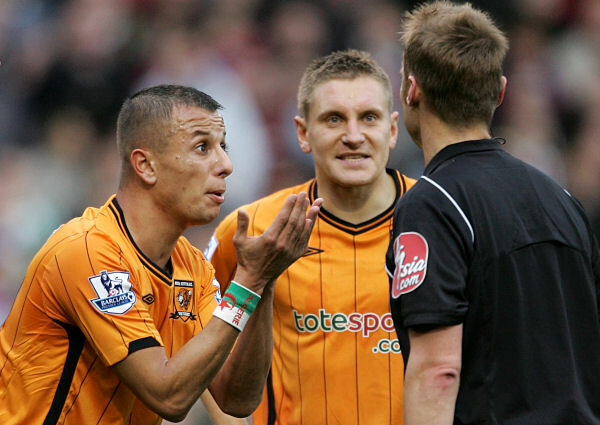 During our two year stint in the Premier League there was a short lived fad for wearing national flag wristbands. 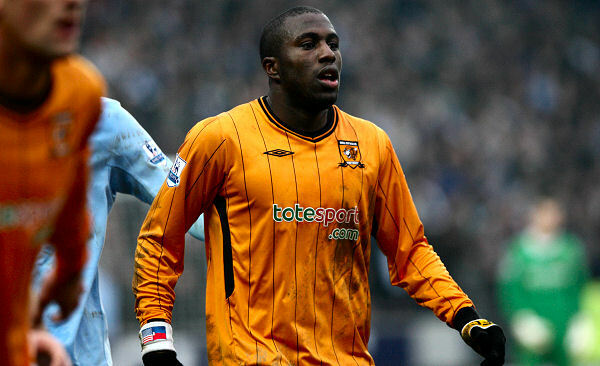 It began with OG-prone defender Kamil Zayatte away at Manchester City in 2008/09. The Guinean will probably go down as the most accessory laden player in club history. 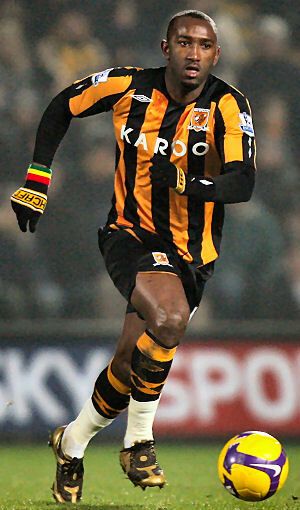 At one point in the City v. Citeh game he wore a black long sleeved compression jersey, HCAFC branded gloves, a black Umbro wristband on his left arm, and on his right, a band with the red, yellow and green colours of his West African nation. The practice reached a peak the following campaign, season 2009/10, when Kamel Ghilas, Jozy Altidore and even Geovanni got in on the act. Ghilas, or كمال فتحي غيلاس as he’s known in Arabic (imagine getting that put on the back of a shirt), was born in Marseille, France, but evidently considers himself Algerian rather than French. He has played for the Algerian national team 18 times (3 of those games were played while with* City in World Cup Qualifiers, v. Zambia, Rwanda and Egypt) and often wore an Algerian flag wristband when playing for The Tigers in 2009/10. The Algerian flag consists of two bars, one green, one white, with a red star and crescent at the centre representing both Islam and the blood of those killed fighting for Algerian independence. Helpfully, for those who didn’t recognise the flag, Ghilas’ wristband had ‘Algérie’ in red letters above the star and crescent. French is no longer an official language of Algeria, although it is commonly used, maybe he got the bands from the Marseille branch of Sports Direct or summat. *Ghilas is still a Hull City player of course, but he’s been loaned out twice on season long loans, to Arles-Avignon and Stade de Reims, and clearly isn’t in City’s plans. Geovanni was a frequent wristband wearer during his time with the Tigers, but he usually went with black Umbro branded bands. He got into the flagband spirit for one game though, wearing a yellow and green band with ‘Brasil’ overlaid in white text for the 4-1 FA Cup 3rd Round defeat at Wigan on 2nd January 2010. Whereas Zayatte, Ghilas and Geovanni occasionally wore national flag wristbands, American international Jozy Altidore wore one more often than not, in fact he had two distinctive wristbands, both made by his boot sponsor adidas. Both featured a split flag that was half ‘Old Glory’ and half the emblem of Haiti, as Altidore’s parents are both Haitian. That flag is two horizontal bars, blue over red, with a white panel bearing the Haitian coat of arms. Altidore wore a blue wristand in games against Southend (home, in League Cup), Wolves (away, with adidas logo taped over), West Ham (away), Arsenal (home), Fulham (home), Burnley (home), Aston Villa (home) and in his last, red card truncated performance for City against Sunderland (home, shown above). A white version was worn in games against Bolton (home in Altidore’s debut, and away), Sunderland (away), Birmingham (home), West Ham (home), Everton (home), Manchester City (away and home, seen above) Aston Villa (away), Blackburn (home), Manchester United (home) and Wolves (home). When Jozy scored his only Premier League goal for the Tigers, against Manchester City in a 2-1 win at the KC Stadium, Altidore’s immediate reaction was to tearfully clutch at his white USA-Haiti wristband (shown above). National flag wristbands seem to be just a Premier League phenomenon where City are concerned, as they’ve been notable in their absence since our return to the Football League.